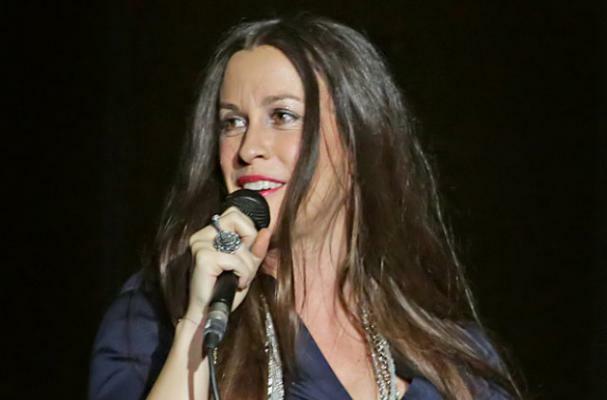 Alanis Morissette recently revealed that her son, 3-year-old Ever is a vegan, and she also follows a mostly vegan diet. Referring to herself as "about 80% vegan," Morissette told Energy Times magazine that she believes in the healing power of food. The other 20% of her diet is made up of seafood. "I eat a lot of fish. I'm obsessed with oysters," she said. "I say that with a little bit of shame because I can hear my vegan friends 'tssk tssking' right now." As someone who has struggled with eating disorders in the past, the singer is intrigued by a plant-based diet because of its focus on nutrients rather than calories. "I started viewing food as this sacred fuel that has to be delicious because sensuality is paramount to me... If the perception is that having a plant-based diet is somehow not delicious, we might benefit from throwing that on its head a little bit so we can get a little more creative in the kitchen and actually have veganism or a plant-based diet be identified more with deliciousness and sensuality."